Mountain trails or coastal paths, forest walks or open countryside. In this breathtaking part of the world, you don’t have to choose between them. Escape the daily grind and reconnect with nature on this fully-supported hiking break, led by our local expert guides. Share some of North Wales’ most stunning, secret trails with a small group of restless adventurers just like you. Take on the mighty Snowdon, the highest mountain in Wales and England, and discover the legend beneath it. With your guide’s local knowledge you’ll discover areas most people never see and learn about the fascinating rich history of Wales which marks the hillsides today. Explore some of the best hiking in Europe. Check out the full itinerary in the tab above! And watch the video to get a taste of hiking in this stunning region. Are active hikers, keen to discover some of the best hiking in Europe with a small group of like-minded explorers. 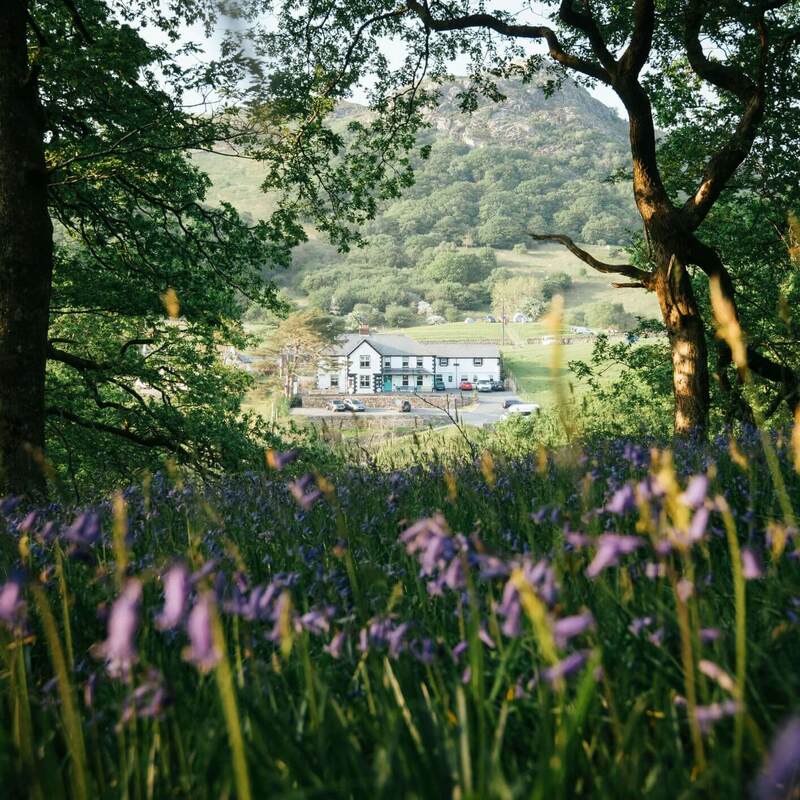 We’ll pick you up from Manchester airport at 1.00pm, or from Chester train station at 2.00pm if you’re arriving by train, to take you to your accommodation in Capel Curig. Settle into your new home and get to know your hiking mates ahead of the first day’s walking together tomorrow. 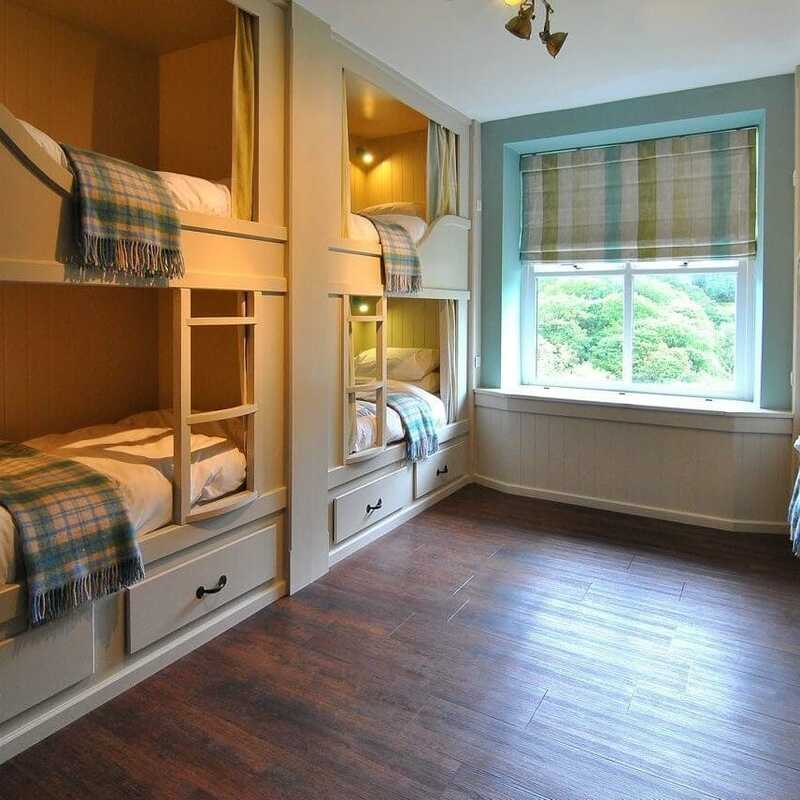 You’ll be staying in a high quality hostel with dormitory style bedrooms, each sleeping up to 6 guests. 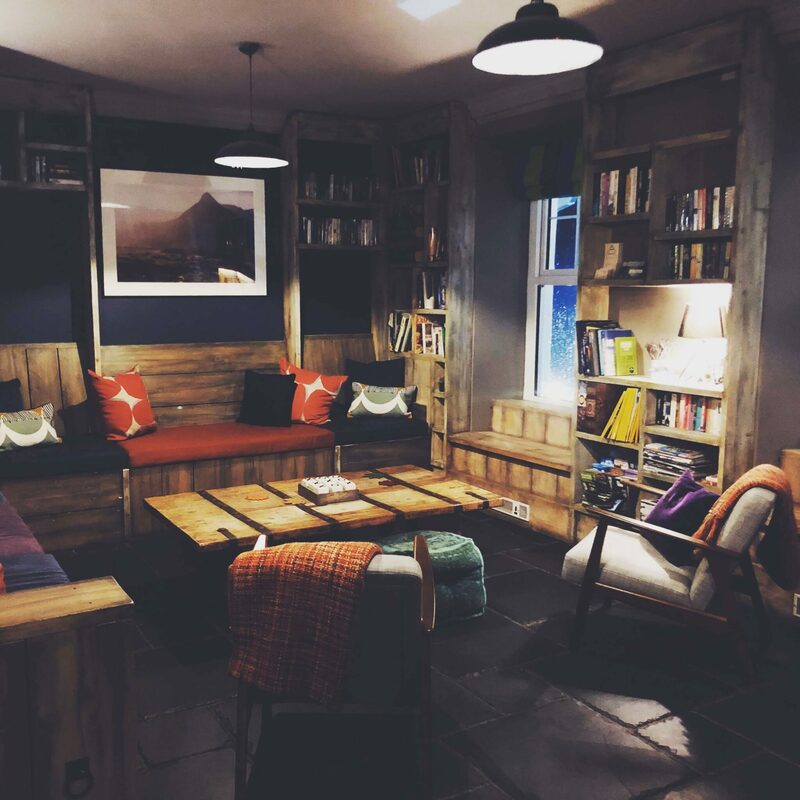 It’s a traditional Welsh stone building, featuring slate floors, log burners and comfy sofas – perfect for relaxing after a long day on your feet. And for the summer months there’s an outdoor decking area with firepit. 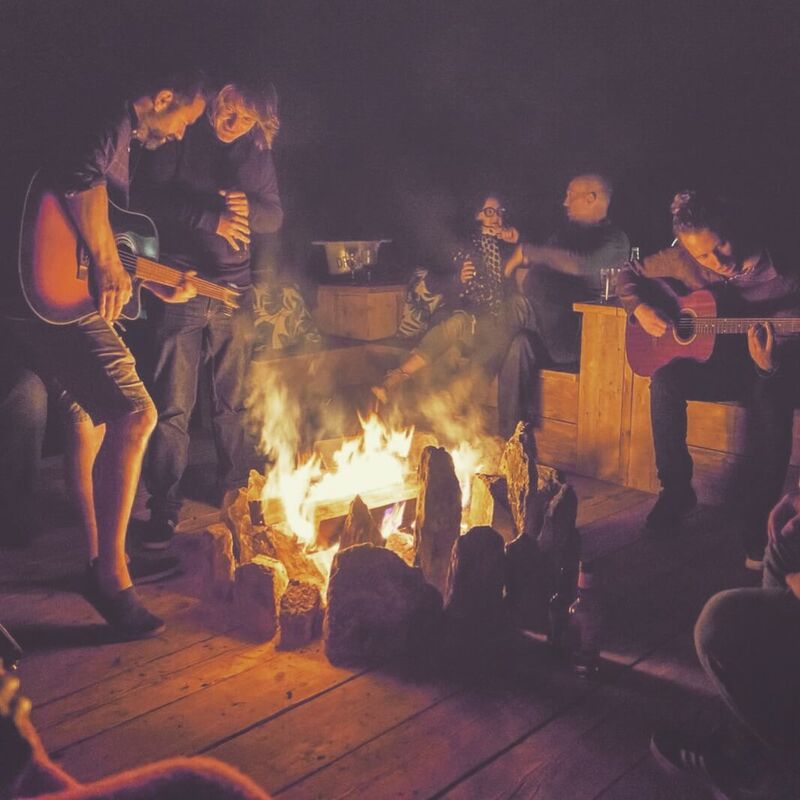 The hostel’s social areas are the perfect place to hang out with your new trail mates. Within walking distance there are a couple of pubs serving homely food and an outdoor centre with a bar that serves food. Betws-Y-Coed is just 5 miles down the road, offering a number of bars, restaurants and cafes. Or if you fancy rustling up your own meal one night, the hostel has a large kitchen for guests to use. After a hearty breakfast at the little cafe next door, you’ll set off straight from your hostel to explore stunning Snowdonia. Moel Siabod stands tall above the village of Capel Curig, giving incredible views from the top. The route up there takes you through beautiful riverside woodland and onto open mountainside. As you ascend the stunning ridge on grippy gritstone, there’s an option for the easier walk up to the peak or an interesting scramble over rocky sections. Whichever route you take, you’ll be rewarded with breath-taking views from the summit. Ranging west across the higher peaks of the national park and far beyond the lower lands of the east. With a total height gain of around 600m and 12km of distance, this is a great warm up for the days ahead. Today is a big day with around 1,000m of climbing and 16km of distance to cover. Our minibus will take your group to the starting point at the east end of a beautiful lake called Llyn Ogwen. Heading up the east ridge of Pen yr Ole Wen, you’ll pass along one of the most photographed streams in Wales. It’s the perfect place for a breather and your own photographic moment – one of many on this big mountain day. Today’s walk takes you through the heart of one of the highest plateaux in the UK. A true wild space. North Wales is renowned for its slate production, which dates as far back as the Roman period. The remnants of this vast industry are clearly visible across the region and today you’ll see a handful of the major quarries that bear witness to this era. Packed with history, you’ll hike through true slate-mining country. Vast quarry sites, historic ruins and expansive views over Cardigan Bay – take a step back in time and understand the foundations of this mighty region. Soak up the history and enjoy a slightly easier day on your feet. Expect to climb no more than 650m over 13-16km. Well, we did say it was only slightly easier…! Snowdon is the jewel in the crown of the Snowdonia National Park. Standing at 1,085m, it’s the highest mountain in Wales and England. No adventure to this great country would be complete without scaling its grandest of mountain peaks. The starting point of this hike is just a short drive away, so fuel up with breakfast and enjoy a comfy seat – you’ve a big day ahead! There are several routes up this great mountain, some more technical than others. All stunning. And all rewarding. Your guide will choose the path based on your ability, the weather on the day and to avoid other walkers as far as possible. All to give an unforgettable experience you can call your own. Standing on the summit of Snowdon feels like standing on top of the world. On a clear day, the panoramic views it rewards you with will stay with you forever. We know it’s moments like this that adventurous souls like you live for. It’s your final day of adventure so lets end on a high. A mountain high, of course! The Glyderau area provides a wealth of options to choose from. The most famous is Tryfan, but Bristly Ridge, Devil’s Kitchen, Gribin Ridge and more, mean your last day in the Welsh mountains can be tailored to whatever your group are up for doing. With a combination of hiking and scrambling, it will be a day to remember. The total climb and distance will depend on the route chosen, but expect a good climb of at least 700m. See how your legs feel and work with your guide to craft your Welsh wilderness trail finale. Enjoy the final breakfast in your mountain home before packing away your gear. The bus will pick you up from the hostel at 8.30am, dropping off at Chester train station at 10.00am and at Manchester airport around 11.00am. After an incredible week scaling unspoiled heights together, it’ll be bear hugs all round with your new trail buddies. Olfi action camera hire, with helmet and chest mounts – one life, film it! Whether you want to lose yourself, find yourself, or both, you couldn’t pick a better place to do it. Discover Wales and regain a sense of perspective amongst its rugged coastline and mountains. And with a night of glamping in North Wales’ beautiful countryside included, you’ll truly escape back to nature. 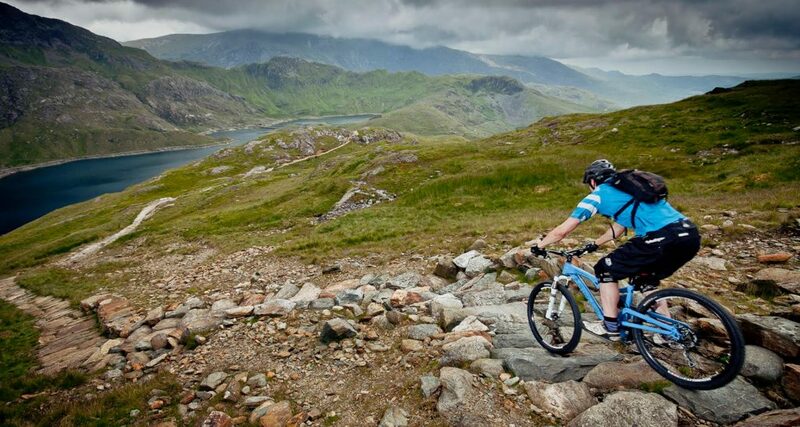 North Wales is one of the best locations in the world for mountain bike holidays. Twisting trails through forested slopes, rugged slate descents and home to the UK’s first ever mtb trail centre. It’s got pedigree. At Adventure Tours UK, we set out to create the kind of breaks people like us go wild for. People who get their thrills in the outdoors and want to care for it too. Who want to disconnect from the daily grind and reconnect with nature. If you’re in search of adventure, you’ll find it with us.